Nanditta Chibber is an author, a communications professional and the recipient of a Junior Fellow award from the Ministry of Culture for researching and documenting stories around the naming of Indian cities. With Christmas cheer in the air, the tony suburb of Bandra in Mumbai scores a couple more notches at this time of the year—brimming with festive glitter and gluttony as part of the celebrations. Its hip boutiques, bars and cafes—in sync with organic, vegan and gluten-free trends—are often nestled in quaint breezy lanes dotted with low-rise houses and old bungalows that recall typical Colonial Portuguese architecture and are mostly owned by East Indian Catholic families. They speak of the time when this piece of land was an island on its own: not reclaimed and joined with the mainland, nor part of the seven core islands that eventually made up Mumbai—the city that came as dowry as part of a marriage treaty between two kingdoms in another continent, almost 5,000 miles away. The suburb of Bandra most probably derived its name from the word ‘bandar’ or ‘bunder’, a Persian word for a port, with ‘band’ meaning enclosed, and ‘dar’, a gate or a door. Coincidentally, another similar word is ‘vandre’, which in Marathi means ‘a port’. Many locals still colloquially call Bandra ‘Vandre’. The area was part of the Salsette Island that was ruled by the Silhara Dynasty in the 12th century CE. There were 60 villages inhabited by the local fishing community, the Kolis, and the farmers. The island was originally called ‘Shashtihi’—the word for a count of 60 in Sanskrit, which was shortened to ‘Shashti’ that further got corrupted to ‘Salsette’ over time. When the Portuguese sailed into Bandra’s creek in 1534, it is said that they burned the fishing villages and brought them under the Portuguese Crown. Soon, the Catholic Church encouraged the locals to be baptised as Christians. Over the next few decades, it is said, Father Manuel Gomes built the St. Andrews Church as well as the famous and much-revered Chapel of Mount Mary by 1640. When King Charles II of England married Catherine of Braganza from Portugal in 1661, the marriage treaty did not include the island of Salsette among the seven islands that comprised Bombay (now Mumbai), which was promised as part of the dowry to England. The English did try to claim it as part of the dowry, but here on ground zero, the Portuguese authorities refused to deliver. A bitter and long dispute followed, which was finally resolved in 1665 when an ‘Instrument of Possession’ was signed and the island finally came to England. In about three years, the British Crown handed the islands over to the East India Company for a ‘farm rent of ten pounds payable on September 30 each year’, as mentioned in the book Bombay: The Cities Within. But things did not settle yet. The Marathas fought for the area and captured it in 1738 for a brief period. They destroyed the Mount Mary Chapel built by the Portuguese. Much later, when the East India Company claimed the island again, the statue of the Virgin was recovered from the sea by fishermen and temporarily installed at St. Andrew’s Church. Later, Mount Mary’s Church was rebuilt in 1761 and the statue was installed in it. 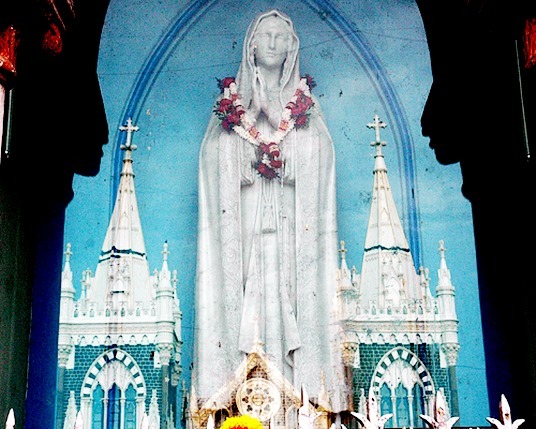 And so, till date, Bandra retains this amalgam of Portuguese and Indian culture with the added influence of East India Company, hosting a large Christian community, many of whom call themselves ‘East Indian Catholics’. During Christmas especially, they open their homes, restaurants, bakeries and hearts to specialties that you are likely to get only in this part of town—the likes of pork vindaloo, sorpotel, duck indad, mutton tope (lamb thickened with rice flakes), chicken moile, roast chicken, stuffed pomfret, fried mackerel, along with some cakes and bakes that only the Bandra bakeries will dish out. From rich rum, plum and fruit cakes, to chocolate babka to newries (sweet puffs) to marzipans to Portuguese sweet breads to gingerbread—it’s all festive feasting and if not in Bandra, go on, indulge wherever you are. Merry Christmas! This article is part of a Saha Sutra series, What's In The Name, that researches and documents the etymology and stories around the naming of Indian cities, markets, monuments, foods, and other aspects of note and interest. Albuquerque, Teresa. Bombay, A History. New Delhi: Promila & Co., 1992. Banerji, Chitra. 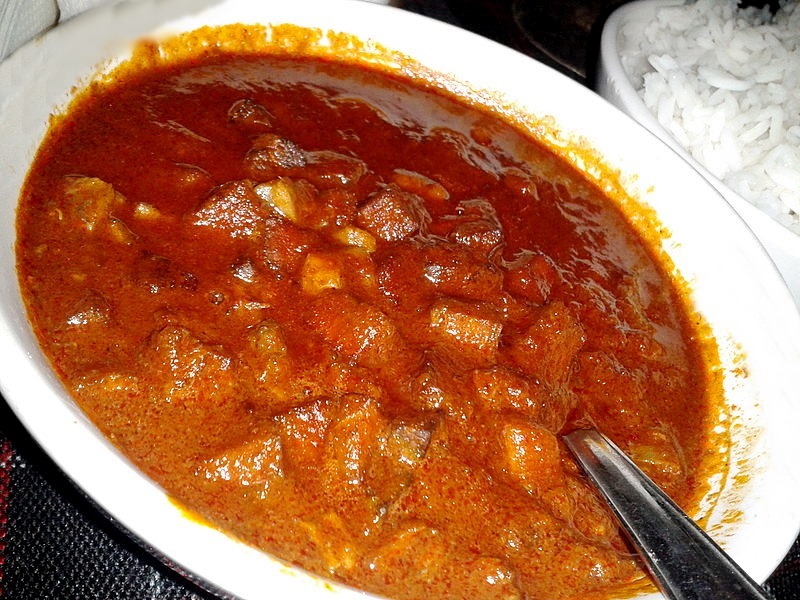 Eating India: Exploring a Nation's Cuisine. London: Bloomsbury, 2010. Dwivedi, Sharda and Rahul Mehrotra. Bombay: The Cities Within. Mumbai: Eminence Designs, 1995.